James Olsen (Mehcad Brooks) is getting into the action as the Guardian on The CW's 'Supergirl.' 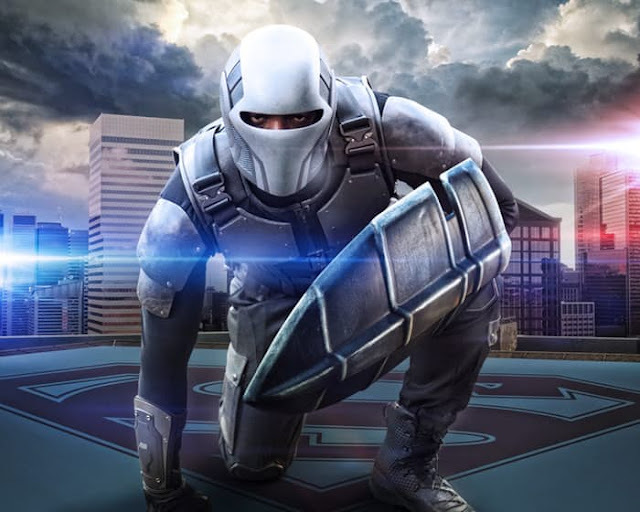 The network has released the first image of National City's newest hero with his trademark shield. No longer just the romantic interest or Superman's BFF, Jimmy Olsen is taking the mantle of one of DC Comics' oldest vigilantes. Created by Jack Kirby and Joe Simon in 1942, the original Guardian was Jim Harper, a Metropolis police officer, who was tired of seeing criminals escape justice, so he took on the role of a costumed vigilante. Along with the Newsboy Legion (yes, he rolled with a bunch of kids as backup) he fought crime with just his fists and a badge-shaped shield. While Harper had ties to the Cadmus Project, Olsen never did and was never the Guardian himself. On the show, Jim Harper (Eddie McClintock) was played as an alien-hating colonel who interrogated J'onn J'onzz (David Harewood) looking for the real Hank Henshaw and was a member of Project Cadmus. It's unclear if Cadmus will play a large part in the development of Olsen as the Guardian. In the comics and in animation, the previously uncostumed Teen Titan Mal Duncan took the name of the Guardian, wearing the original's outfit and an exoskeleton with strength augmenting abilities. 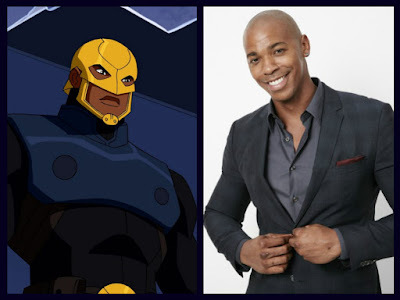 He was the first iteration of the character as an African-American. The second was Jake Jordan from Grant Morrison's 2005's Seven Soldiers comic book series. Producers promise more exciting stories as Olsen takes to the streets to help Kara (Melissa Benoist) fight crime. He'll get a hand from Winn (Jeremy Jordan) creating some comedic moments as they try and work together. This will give Brooks, who's built like a superhero, opportunities to get more involved in the storylines as not just CatCo's photojournalist but as a full-fledged hero in his own right. Supergirl Season 2 airs Monday nights at 8/7c on The CW.